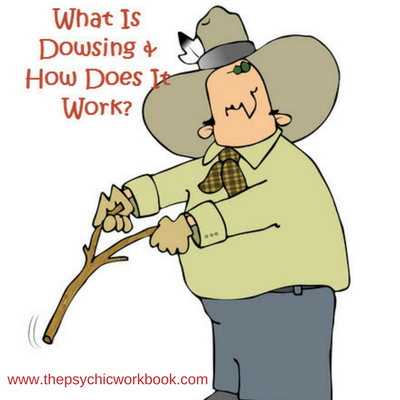 What is Dowsing & How Do It do It? Isn’t That Where You Look For Water With A Stick? Yes, dowsing has traditionally been a method of ‘divining’ or looking for underground sources of water (and often oil). But dowsing isn’t just about finding water. Dowsing is a method of finding answers or objects as indicated by the movement of a device such as dowsing rods, hazel branches or a pendulum. The dowsing device moves to indicate a positive or negative response. When asking questions it will give yes or no answers. When looking for objects it will indicate that you’re getting nearer or further away, or you can combine the two and ask questions to determine where a lost object is. What Should I Use For Dowsing? I’d like to say that it doesn’t matter what device you use, but in reality, it’s a case of finding out what suits you best, I can’t say for sure that anything will work for you. Let me clarify this for you, I’ve used a pendulum since my early teens and they have always worked really well for me. It actually really doesn’t matter what is on the pendulum, glass, crystal, plastic, I’ve even used a polo mint! However, I tried and (dismally) failed at using rods. I was very disappointed as I had bought my first set of copper rods in Avebury while I was away on my Reiki 2 course so I had high hopes for them. A number of people I knew could use them straight away – even the really sceptical people I knew, but they appeared to lose all signs of life in my hands. It was only when my mum got me a set that had plastic sleeves around the handles that I succeeded. This pair of rods were able to move freely in the sleeves which took away a lot of my own scepticism and doubts about whether I was causing them to move or not. I think I needed this element of my own self-doubt to be removed, as I am in fact quite cynical about these things and always look for a physical explanation first. I later discovered that this didn’t really matter, I will explain more about this below. So in my experience pendulums of any sort are easier to master, but that’s just me. You may find rods or a small tree branch works very well for you. I Bet You’re Just Making That Dowsing Rod Move Yourself! When asked this question, I always say ‘Yes, I think I probably am!’. So, How Does Dowsing Work Then? I believe that we are all able to unconsciously access vast amounts of information, therefore all information is available to us. 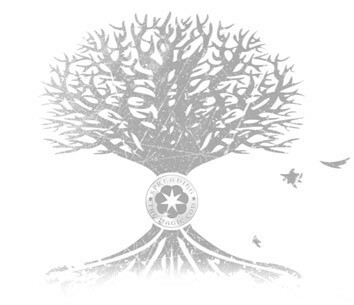 Some people refer to this information as the collective consciousness. 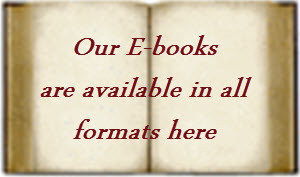 Another name for it is the Akashic records. I think of it as universal knowledge. Some things we know but have forgotten, for example, where we last saw something that we’ve lost. This information is in our subconscious, we just need a way to find it. So when we dowse we access this pool of information, answers and wisdom, or our own subconscious, and involuntary micro muscular movements cause the movement of pendulums and other devices to give us a visual indication of the answers to our questions. My suggestion would be to have a go at dowsing? Give it a good shot – it won’t happen overnight so be patient and practise with it. When you find that it works for you, do you need to know any more? Or can you just accept that it is a brilliant way of accessing your psychic side?